The GAR at a Glance presents a selection of key figures and findings of the GAR in an easy-to-use poster. Explore the GAR data through a free application, the GAR for Tangible Earth (GfT), featuring a 3D globe interface. The Pocket GAR provides a summary and the main findings of the full report in a concise format. All Annexes and Background Papers prepared for the GAR are made available here. Explore the risk data provided through the Global Risk Model effort coordinated by UNISDR. Instant guide to risk, disasters and economic background of countries and territories. The full report, selected sections and chapters, annexes and background papers can be downloaded here. Collection of selected studies on public investment planning and financing strategy for DRR. Tablet computer users can also enjoy the GAR for Tangible Earth (GfT) free application. GfT, or “gift”, is a fully interactive stand-alone application, which features a 3D globe interface that contains decades of dynamic earth science data sets, including disaster events from all GARs. The Global Assessment Reports are developed on the basis of a large body of original research contributed to UNISDR by a wide range of independent scientific institutions, think tanks, UN agencies, governments, non-governmental organisations and businesses. This includes original data, case studies, analysis and survey results – all available online. The global risk analysis presented in the Global Assessment Reports is based on a joint effort by leading scientific institutions, governments, UN agencies and development banks, the private sector and non-governmental organisations. All available data is provided via country profiles and also via link to our new data platform. This UNISDR Working Papers Series is a collection of selected studies on public investment planning and financing strategy for DRR. Each country review compile analysis of disaster loss, risk, DRM budget and other economic analysis. 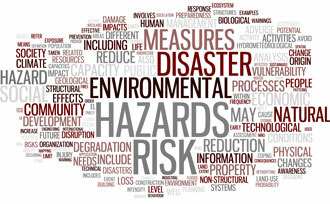 Based on evidence, DRR investment policy is reviewed and policy recommendation prepared. It provides concrete examples how GAR philosophy is applied on the ground. Contact us | Disclaimer | Our Partners | References | Acknowledgements | PreventionWeb | WCDRR | © United Nations 2015.